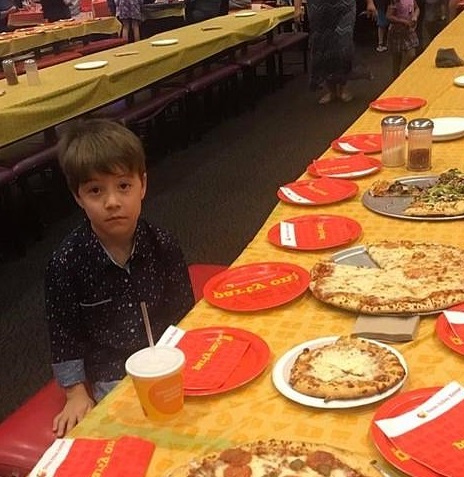 A six-year-old from Arizona has been showered with support on social media after a heartbreaking photo of him sitting alone at his birthday pizza party went viral. 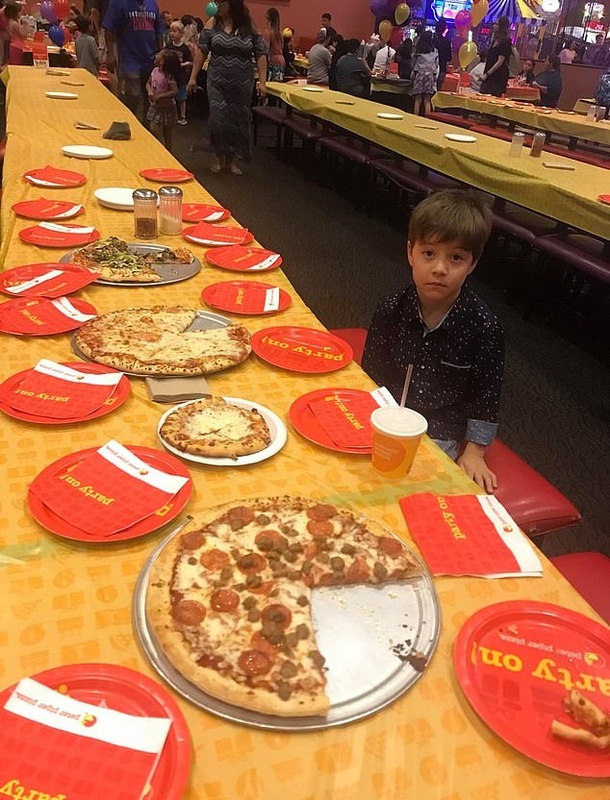 Teddy Mazzini invited 32 of his classmates to celebrate his birthday at a Peter Piper Pizza restaurant in Tucson on Sunday afternoon - but no one showed up. Local news reporter Nick VinZant posted a photo of Teddy sitting at a long table surrounded by dozens of empty paper plates on Facebook, asking others to wish the youngster a happy birthday following the sad turnout. The photo quickly caught the attention of the community as the Phoenix Suns NBA team and Phoenix Rising MLS team invited Teddy to celebrate his big day at their upcoming games. 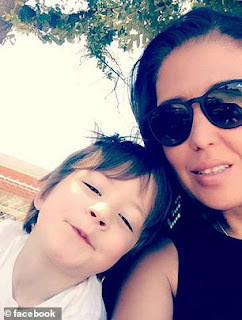 Sil Mazzini, Teddy's mom, told ABC15 that 32 party invitations had been sent out to the kindergartner's classmates and their parents. 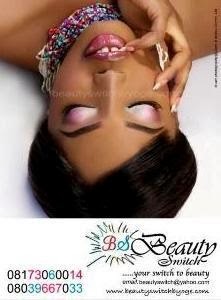 She said a few people respond that they wouldn't be able to make it but the rest of the guests were simply no-shows. 'I'm done with parties for a while,' Mazzini joked after the sad affair. However, she said the family would hold its own celebration on Monday night by reading birthday wishes shared after the photo she passed along to VinZant went viral. Fellow father Adam Burnside had a particularly heartfelt message, writing: 'Happy Birthday Teddy!!!! I'm a parent of two boys and would love to become friends with you guys! 'Teddy, I know this is hard to wrap your head around now but I hope your parents print these comments out and save them for you because there are 2 things I know in this short 35 years on this earth, #1 Very, very few people still have the friends they made in elementary school as they do as adults. #2 The best, best, best friends in the whole wide world came into my life at 28yr old and at 32yr old. 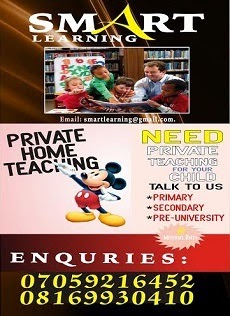 Its quite sad and this is on the parents of the kids that were invited, I am sure they would have RSVP'D.